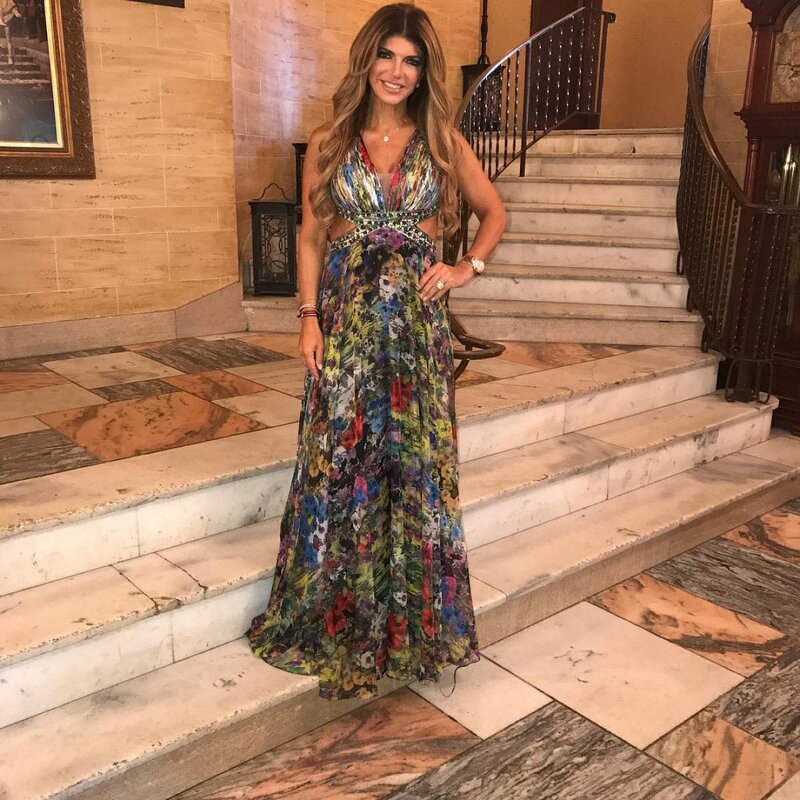 Teresa Giudice and husband Joe Giudice are apparently not heading for a split despite a recent report claiming otherwise. "I am not getting divorced. The truth is I miss my husband and cannot wait for him to come home," Teresa told Bravo's The Daily Dish, referencing Joe's 41-month prison sentence at FCI Fort Dix in New Jersey that he began serving in March 2016 for conspiracy and bankruptcy fraud. "We talk every day on the phone and I go and see him a few times per month. My daughters miss their daddy just as much as I do. We all love him very much." Teresa and Joe, both 45, have four daughters together: Gia, 16, Gabriella, 12, Milania, 11, and Audriana, 7. "Being apart isn't easy, it's not ideal, but it is something that we deal with. We are still a family and we still love each other very much," Teresa added. Teresa is denying a new Us Weekly cover story report in which a source close to The Real Housewives of New Jersey star claimed she was thinking about leaving her spouse of almost 18 years. (The couple's wedding anniversary is October 23). "The marriage may be over," the source told Us, adding that Teresa was starting to believe rumors of Joe's infidelity. "He's always said this particular person was just a friend, but now Teresa thinks there's more to the relationship." Us reported that Teresa has only made the 90-mile trip from her home in Montville Township, NJ, to visit Joe in prison a handful of times. The source said that Teresa was telling friends "she's loving her independence" and was "becoming used to being quite free while Joe is away at prison." Teresa, author of cookbooks and her memoir Turning the Tables, completed her own 11-month jail sentence in December 2015. The married couple was sentenced to jail time in October 2014 after pleading guilty to three counts of bankruptcy fraud, and conspiracy to commit mail and wire fraud as part of a plea deal to resolve their 41-count federal fraud indictment. Their prison arrangements were made so that one parent could always be with their children. "Teresa keeps them busy so they're distracted," an insider told Us of the four girls. "They have adjusted to life without Dad in the house." Teresa's new book, Standing Strong, will hit shelves October 3, one day before the next season of The Real Housewives of New Jersey premieres on Bravo. Danielle Lombard on Dean Unglert and Kristina Schulman 'Bachelor in Paradise' triangle: "You can't help who you love"
'Big Brother' recap: Mark Jansen evicted over Matt Clines -- Plus find out who won Head of Household!